I try to get my fruits and veg in where I can. I just thought using my juicer to make a cocktail would be fun to try and actually it was very tasty. It reminded me of a light cosmopolitan. Of course, this would be delicious with or without alcohol. 1 half inch slice of raw beet. 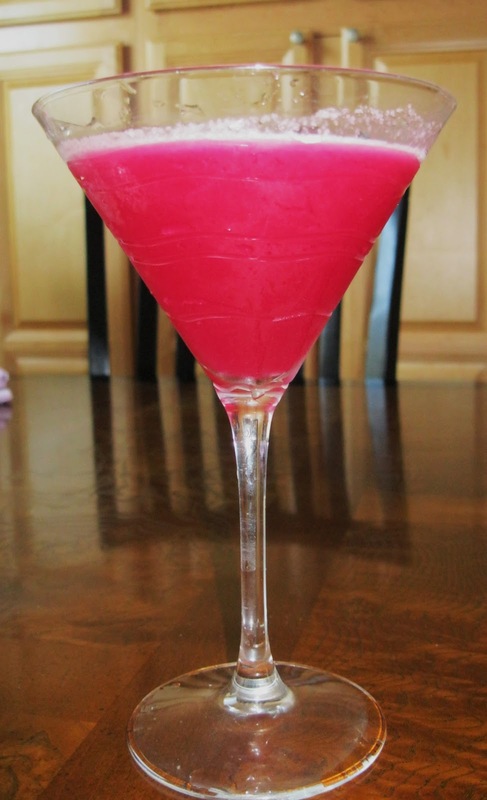 Juice the apple, pear and beet. Pour into a martini shaker full of ice and shake (a lot - the colder the better!!) Strain and serve in a martini glass. This is enough to make 2 martinis. The beet juice is for its beautiful color. This is so pretty! I am going to try it tomorrow evening for a pre dinner cocktail. Hi, this was delicious! Only added juiced lemon, gave it just the perfect acid bright flavor we love. Thanks, it's a keeper!